What would an evidence-based response to Mid-Staffordshire look like? It’s now been over a year since the final Francis Report into the care failure at Mid-Staffordshire. Both the BBC and the more serious end of the media picked up on the anniversary to ask what had changed since the report, but generally finding very few changes in the way that day-to-day care in the NHS had changed, even if the Trust itself is now being dissolved. Some junior nurses who were at Mid-Stafford hospital have been struck from the nursing register, and a more senior, now retired nurse, has too. Politicians argued about whether there were more nurses or not, whether more or less money available for care, and whether calling in retired businessmen from the private sector might make NHS management better. But whether there has been a care transformation of the kind Francis called for is surely questionable. Francis did a very thorough job in making sure that the voices of those of those who suffered as a result of the failings at Stafford Hospital were heard. However, having gone to all the trouble of collecting such compelling accounts of care failure, it is surely worth asking whether his recommendations actually follow from the evidence he gathered, and whether they have the potential to work as a result. Francis’ diagnoses of what was necessary to correct NHS care failings were numerous, but if we try and summarise his main findings they boil down to his finding that the NHS needs to put in place minimum care standards (‘basic standards’) which can be measured and implemented, and that carers (especially nurses) who fall short of providing care at this level, or are culpable in allowing others to provide care below that level, should be penalised, possibly in criminal law. Equally, nurses should be assessed in their training as to whether they are sufficiently compassionate. Francis also acknowledged that groups other than nurses need to show greater leadership, but the emphasis in Francis’ recommendations does appear to be mostly on standards in nursing care. The Berwick report, also published last year, asks very similar questions to Francis’, but seems rather more lukewarm about the idea of failing to provide basic care a criminal offence, instead putting a greater emphasis on the need for teamworking and learning, and of clear lines of accountability for providing care that go beyond the nurse-based focus that appears to dominate Francis. What is striking, putting both Francis and Berwick alongside one another, is the very different assumptions they hold about how to improve care. Francis appears to believe that greater control and measurement is needed. Despite blaming the NHS performance management system of the 2000s for many of the failings at Stafford Hospital, he appears to suggest that this was down to it? measuring the wrong things, rather than being due to any dysfunctionality in performance management systems per se. What Francis does, in effect, is reinvent performance management and give it sharper teeth, at least for nurses, by wanting to link care failure to criminality. This is a view of motivation that economists might share – that only by incentivising (and potentially penalising them) can we make carers do their jobs better. Berwick seems to hold a view that carers are actually trying to do a good job, but that professionals need to work better together and teams need to be held to account for the care they give . This contrasts with the imposition of basic standards and an emphasis on individual accountability.. 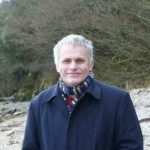 The Berwick approach, surely, has a much better chance of working: for example, it aligns with research from psychology that finds time and time again that motiving staff to do better works better if it appeals to intrinsic factors (wanting to do their job better) rather than extrinsic factors (rewards and penalties). Appealing to intrinsic motivation also has far greater potential to get carers to work together in teams to meet challenges together, rather than trying to motivate individuals one at a time through extrinsic rewards (or the threat of sanctions). Clearly it is the case that no carer at Stafford hospital went into work wanting or looking forward to providing such poor care? An important question is how on earth we managed to create a hospital institution that took away carers’ intrinsic motivations to do a good job, and managed to institutionalise poor care. By focusing on extrinsic factors and standards, Francis takes us in the wrong direction, making carers focus on standards rather than care, and that may well be what caused such problems in the first place. Instead of thinking about rewards and penalties, as if nurses need to be reminded what good care is, we should be focusing on how we can motivate them by giving care teams the space and resources that they need to do their jobs better, appealing to intrinsic motivations instead. By asking care teams to do a good job, and then holding them to account for doing so, we have a much better chance of making things better rather than assuming there are one-size-fits-all standards we can impose upon nurses, and which can then be used to penalise them should they fall short.